A real head turner as with all Pershings. Well powered with 2 x 660hp Caterpillars on more economical shafts rather than the optional surface drives. There is a complete suite with en-suite aft accessed through the lifting door in the cockpit seating, of which there is ample. The usual high tec dashboard and helm with an electrically lifting instrument panel. Below she is fresh and certainly not of her years. Don't be disappointed and miss out on this rare opportunity to acquire one of Pershings popular earlier models. A very classy boat. 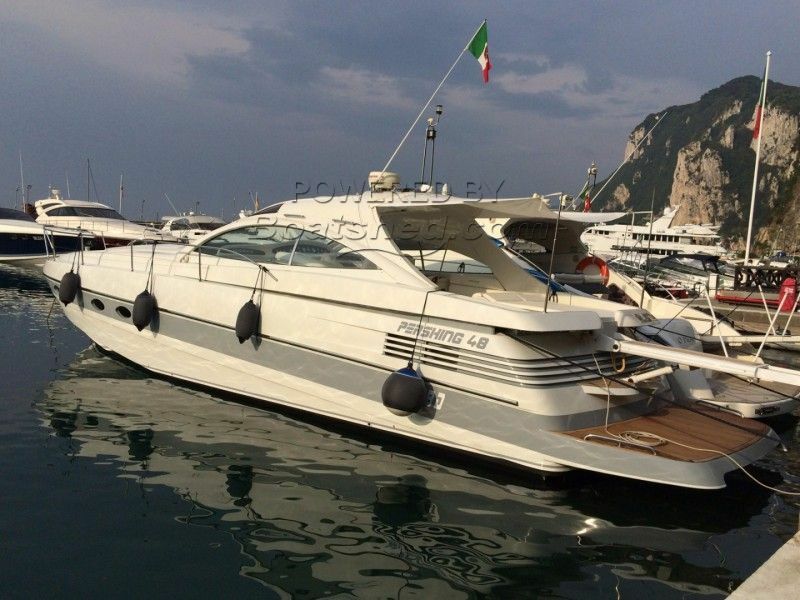 This Pershing 48 has been personally photographed and viewed by Paul Griffiths of Boatshed Costa Brava. Click here for contact details.